December 2015 – somewhat bookish. I read 5 books in November, 2 fiction and 3 non-fiction. Two were on the Kindle, 2 in print, and 1 on audiobook. Two were by writers of color. This puts me at 91 books for the year so far, so of course, I’m going to try to see if I can get to 100 before the year ends! The Chase by Janet Evanovich and Lee Goldberg (2014). The second in the “Fox & O’Hare” series about a strait-laced FBI agent and a mastermind thief who team up to catch high profile criminals. I picked this up on audiobook for my drive to and from NC at the beginning of November and it was perfect – entertaining but not distracting. Black Man in a White Coat: A Doctor’s Reflections on Race and Medicine by Damon Tweedy (2015). Tweedy writes about his experience as a black medical student, resident, and eventually psychiatrist, while also highlighting research on racial disparities in health care access and treatment. It was a good elaboration and humanization of a general fact with which I was familiar. An Edible History of Humanity by Tom Standage (2010). A Snicker of Magic by Natalie Lloyd (2014). Middle grades magical realism! Felicity Pickle and her family move around a lot, but when they head to her mama’s home town of Midnight Gulch, Felicity hopes they might stay a while. Midnight Gulch used to be a magical place, and Felicity thinks if she can bring the magic back, maybe she’ll finally have a place to call home. Delightful. Between the World and Me by Ta-Nehisi Coates (2015). Coates’ writing on race in America is always a must read and this slim volume – a letter to his son – is beautifully written and hard to read. Coates is not one to sugarcoat and his view of the experience of blackness in America is sometimes bleak, but I’m very glad I read it. Chanukah starts on Sunday, and what better to read than this delightful tale by Naomi Howland a good deed rewarded by a magical, latke cooking pan. Sadie is given the pan after giving an old woman the firewood she has gathered. If you know the magic words, the pan will cook latkes until you tell it (through a specific phrase) to stop. 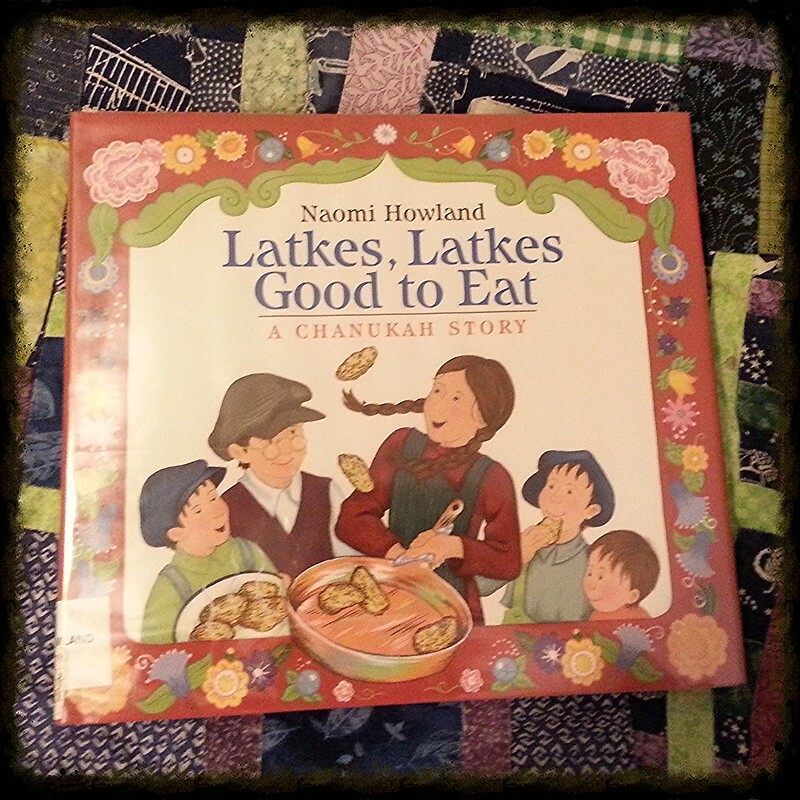 I picked this up from a Chanukah display at DCPL, and Frances asks for it every few nights. She loves to chant “Latkes, latkes, good to eat, cook me up a Chanukah treat” at the relevant parts. WARNING: This book will make you crave latkes.